2017 was an interesting year for the Pourover. I started this blog in November 2016, with the goal of exploring, highlighting and promoting Scottish specialty coffee. I managed that for nearly a year, with coffee and cafe reviews, interviews, and the odd article about movies. I met some fascinating people, both in the industry and on the consuming side, and learned a lot about the country of my birth in the process. But then life intervened, as it so often does. It’s now been three months since I arrived back in Michigan. It feels much shorter, but with an endless list of tasks to complete—find a home, a car, start (restart) a job, buy furniture—there hasn’t been much room for rest or reflection. It’s tough, beginning a life all over again. I’ve had to prioritize, and until recently this blog suffered for it. I’m also back working in the industry, which has slaked my thirst for continual access to coffee, but has also left me slightly less enthusiastic about writing on the subject. Coffee in the States doesn’t need my help, that’s for sure—there are already third wave cafes and roasteries in every city, and even most small towns. It’s heading that way in Scotland as well, but America is decades ahead of the UK in its fascination with, and love for, properly good coffee. Recently, I’ve started a series of weekly posts called Coffee News Roundup, which is exactly what it sounds like. 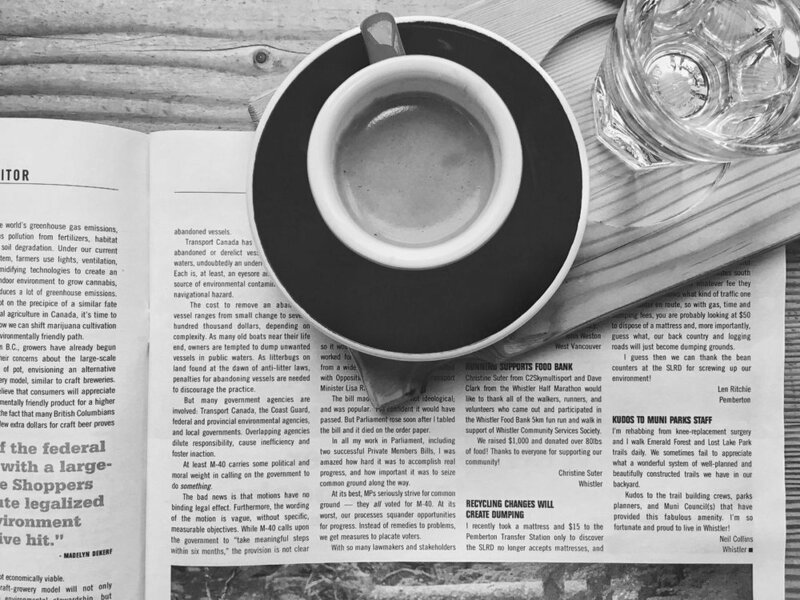 It’s always been a struggle for me to keep up to date with the goings-on in the world of coffee—reading several different news sites at a time—so I decided to write a roundup myself. I’m not publishing one this week due to there being no news worth relaying (it’s that time of year), but I’ll endeavor to continue posting one a week from here on out. In 2017 I wrote not just for my own website, but for others as well. The Scotsman generously allowed me to write goofy explorations of cold brew and the existential nature of the flat white, and Sprudge commissioned me to visit the isle of Skye to meet Jamie Fletcher and write about his charming little cafe, Caora Dhubh. I hope to have more opportunities to explore third wave coffee and reach more people in the coming year. It’s going to be a challenge, keeping the Pourover going into 2018. I do this for fun, in what spare time I have, for no monetary reward. I don’t want the Pourover to die a sad, quiet death like a lot of blogs do, so I’m going to try my best to keep it going. I love coffee, and I love writing about it, even the constant struggle to come up with synonyms for “delicate” and “lemony”. Hopefully in time the site will mature and grow, or at the very least I can keep updating it regularly with vaguely diverting coffee-related nonsense. My goals for the coming year are to publish more, obviously, but also to try different forms such as interviews and video. Reviews will still pop up now and again, as I begin to explore the midwest’s booming coffee scene. I also now have something like nine different brewing devices, with more on the way, so I really need to write about them (and learn how to use the damn Kalita Wave). A big thank you to everyone who has followed this nichest of niche blogs over the past year—coffee is fascinating, not to mention delicious, and it’s a pleasure to be able to brew it, enjoy it, and write about it. I hope you have a lovely end to the year, and a caffeinated and productive 2018.